Lyon is the quintessential dream European getaway. This romantic city is jam-packed full of dramatic cathedrals, classical art in vast city squares, quaint street-side cafes, and winding alleyways you almost want to get lost in! With a UNESCO World Heritage site stretching over several districts, how can tourists pick just one neighborhood to stay in? Picking a neighborhood in Lyon has never been easier with our comprehensive guide! Written by our team of dedicated world travelers, you get firsthand insights on how the best in the game plan their adventures! In a few short minutes, YOU will have the knowledge to book with confidence when choosing a place to stay in Lyon! Plus, our travel experts have you covered with our other amazing guides, all set to save you time and money. Find the best hotels in Lyon, plus the 14 coolest things to do in Lyon. These are our best picks for where to stay in Lyon. Looking for a specific place to stay? These are our highest recommendations for places to stay in Lyon. Only minutes away from the metro station, Le Flâneur Guesthouse gives its guests a direct link to exploring every corner of Lyon. Around the hotel, there are plenty of bars and restaurants to choose from. The hotel itself even has an onsite snack bar, living room, kitchen, and shop. The spacious dorm rooms include free WiFi, a locker, electric socket with each bed, as well as a reading lamp. From the outside this Bed and Breakfast looks like as if it has been transported straight from the medieval era, once stepping inside, however, guests are delighted to see all modern day comforts and more sophisticated style. Located in the heart of the old district, La Loge du Vieux Lyon’s apartments include a private shower, flat-screen TV, a fully equipped kitchen and, of course, free WiFi. Have all of Lyon in the palm of your hand when staying at Villa Maia, one of the most luxurious hotels in all of Lyon perched on top of Fourvière Hill. Other than the striking panoramic views, Villa Maia pampers its guests with an indoor heated pool, hot tub, steam room, and gym. From the comfort of the pool, you can look out over the hotel’s garden. All of the rooms and suites are complete with a flat-screen TV, mini-bar, marble bathrooms, and free WiFi. Lyon is large and lively and you’ll need an epic guide (like this one!) to find YOUR perfect place to stay! As the second largest city in all of France (in terms of urban population), Lyon gives even Paris a run for its money. With its many hills and cathedrals, tourists will find it hard to see a bad side of this gorgeous city. Other than the city’s rich historical and cultural significance, Lyon has a lively nightlife which has been known to party hard from dusk till dawn! With so many different sides to this vibrant city, tourists are sure to never have a dull moment in Lyon! The 1st Arrondissement is located just north of the 2end, meaning that these districts are often lumped together. The main difference is that the 1st Arrondissement has a popular club scene which has been notorious for keeping locals up until the wee hours of the night. A bit further north of the 1st Arrondissement is 4th Arrondissement, also known as Croix-Rousse. While lacking many historical buildings, Croix-Rousse is well known for its hipster cafes and many vintage shops. 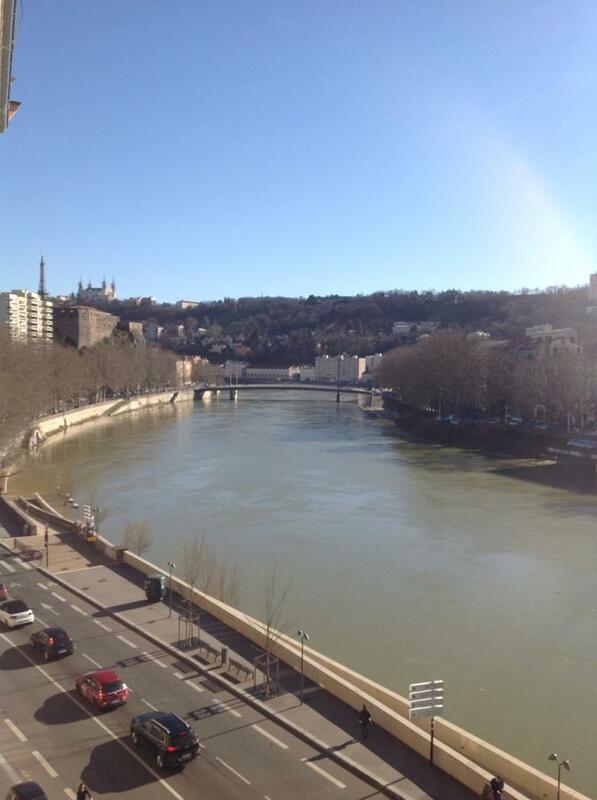 East and across the river from the 2end Arrondissement is the 5th Arrondissement or Old Lyon (Vieux Lyon). In the old district, you will find the largest concentration of old buildings which is sure to immerse you in your ideal French fantasy holiday! The 6th Arrondissement is North-east of the peninsula containing the 2end Arrondissement. This neighborhood is well known for being the “posh” part of town, but also has some of the best parks and city squares in the whole country! You may be a little overwhelmed now, but after viewing our guide you are sure to find the best neighborhood in Lyon for you! Now let’s take a look, in greater detail, at the best neighborhoods to stay in Lyon. Each is a little different from the last so be sure to check out which is right for you! 5th Arrondissement (Vieux Lyon) is our pick for where to stay in Lyon on your first time. From Roman ruins to medieval wonders, the 5th Arrondissement is the place where the first stones for what is now known as modern Lyon was placed and is the beating heart of history for the entire city. This district is comprised of two areas: the Vieux Lyon (Old Lyon) and the Fourvière hill. Due to the historical significance of its old winding streets, medieval buildings, and tall solemn cathedrals, Old Lyon became France’s first “protected area” as well as a UNESCO World Heritage Site. Around the 5th Arrondissement, there is an abundance of churches, museums, courtyards, and mansions to be lost in for days. When you walk down the streets of Old Lyon- you’ll be staring in wonder at the richness of the culture in Lyon! Take a blast to the past when gazing at the ancient ruins at the Museum of Gallo-Roman Civilization. Grab a bite and take in the Lyon skyline from La Terrasse de l’Antiquaille. Walk the corridors and bask in the grandeur of St Jean Cathedral. Gaze out over the city of Lyon from the architectural masterpiece: The Basilica Notre Dame de Fourvière. Check out the Tour Métallique, Lyon’s answer to Paris’s Eiffel Tower. Roam the city streets and take in the medieval architecture. Wander the Traboules, Lyon’s network of secret passageways throughout the city. Feel right at home in the historic heart of Lyon when staying at Quai de Bondy Apartments. These tastefully decorated flats are complete with flat-screen TVs, fully equipped kitchens, free WiFi, and a shared lounge area. The hotel is only minutes away from the Museum of Fine Arts, ensuring adventure is never far away! With an onsite restaurant and several bars and cafes nearby, convenience is literally at the guest’s doorstep. Other than a spectacular location in Lyon’s old town, this three-star hotel also provides its guests with free WiFi, tastefully decorated rooms, and with some of the best service in all of Lyon! This ultra luxurious hotel’s design is between being a classical French palace and a modern state-of-the-art resort. The hotel features Turkish baths, a sauna, swimming pool, and hot tub. When you thought it couldn’t get any better, it does! Cour des Loges also has a fitness center, rooftop garden, wine tasting, and cooking classes. From your luxurious suite, you will be surrounded by priceless antiques along with a flat-screen TV, free WiFi, as well as a fully stocked bathroom! Situated where the Rhône and Saône rivers conjoin, the 2end Arrondissement, or the Peninsula, is home to some of the best street cafes, shopping, city squares, cathedrals, and pedestrian streets in the whole city. While making up a portion of the UNESCO World Heritage Site, this district seamlessly combines both modern conveniences with old world charm. Within this district is the oldest church of all of France as well as one of the oldest functioning theatres in the country! Along with the area having the largest square in all of Europe and countless historic buildings to keep tourists entertained snapping their cameras for hours, the 2end Arrondissement is part of an urban renewal project, meaning that they are plenty of cheap places to find cheap accommodation and restaurants nearby! Stroll through Place Bellecour, the largest square in all of Europe. Start the morning right by shopping at the St. Antoine Market. Catch a show at Théâtre des Céléstins, the oldest working theatre in France! Visit St. Nizier, one of the oldest churches in the whole country! Shop till you drop at one of the many shops on Rue de la République. Snap a selfie by the 19th-century fountain in the Place des Jacobins. View the modern art and architecture in Confluence. If you are looking to get the most bang from your buck, look no further than Kyriad Lyon Centre. At this hotel you get so much more than just acceptable budget accommodation, you get a rooftop terrace, bar, restaurant, fitness center, and even a library. The rooms at the Perrache Hotel don’t fail to impress either with air-conditioning, free WiFi, flat-screen TVs, and a spacious private bathroom. Nothing can be better than staying in a three-star hotel within walking distance of Lyon’s most popular attractions. Mercure Lyon Centre Beaux-Arts Hotel does just that and so much more will a sublime breakfast, bar, and lounge area for its guests. All of the artsy rooms at the Mercure Lyon Centre Beaux-Arts Hotel include free WiFi, flat-screen TVs, bathtub, and coffee/tea maker! Hotel Le Royal Lyon raises the standard of what a luxury hotel should be with its restaurant staffed by chefs from the renowned Paul Bocuse Institute, private cooking classes, bar, and rooms looking out over the famous Place Bellecour. The rooms at the Hotel Le Royal Lyon maintain the same amount of luxury as the rest of the hotel with free WiFi, HD TV, mini bar, and bathroom with a tub. Located in the center of the 2nd Arrondissement, you are sure to be in the thick of your Lyon adventure every time you step foot out of the door! Although not far from some of the oldest and most historic sights in all of Lyon, the 1st Arrondissement has evolved into the district that never sleeps with it’s around the clock party atmosphere. Those looking for a quieter night out can find a slew of museums, opera houses, theatres and cinemas in the area. When strolling through the neighborhood, tourists can also find countless historic statues as well as architectural masterpieces towering on either side of the street. Let’s face it, most people don’t stay in the 1st Arrondissement for the history, they come to party like a local! The beating pulse of the club and bar scene is mostly concentrated along St. Catherine. The party carries on well into the night along the main drinking streets of the 1st Arrondissement, so fair warning to those wanting a good night’s sleep! In this district, you can find many bars, pubs, and clubs sure to keep you partying all night and leaving you with a night to remember for a lifetime! Grab a pint at The Albion Pub off of St. Catherine. Bar hop at one of the many bars and clubs of off “Thirsty Street”, also known as St. Catherina. Catch a show at the National Opera House. Take a stroll through the Place des Terreaux. Window shop at one of the many boutique shops in Montée de la Grande Côte. During the winter, be sure to check out Fête des Lumières Wonder, a light show playing off of the nearby historic buildings. Rock out at one of the music clubs such as Absinthe. When staying in ho36, you get a first-hand glimpse into Lyon’s vibrant art scene. This hotel is not only one of the hippest places in the city, but it also hosts an art exhibition every month. With both private and dormitory beds, ho36 Opera Hotel brings together travelers from all walks of life to converse and make new friends on the outside patio or indoor lounges. Inside this classical 19th century building you can find some of the most comfortable rooms in all of the 1st Arrondissement. If you are not feeling up to going out, the hotel even offers a complimentary breakfast as well as an onsite bar. The Hotel Le Boulevardier’s rooms show its history with exposed rock and wooden beams, along with the modern comforts of free WiFi, flat-screen TVs, and a private bathroom. Step into a modern paradise of luxury and class. The Grand Hotel des Terreaux offers its guests an indoor pool, concierge service, bar, bike rentals, and complimentary breakfasts all inside a remodeled 19th-century townhouse. Each room is tastefully decorated and include free WiFi, a flat screen TV, bathtub, and some of the most comfortable beds in all of France! 4th Arrondissement (Croix-Rousse) is our pick for the coolest place to stay in Lyon. Croix-Rousse is a district made famous by the many silk workers who set up shop there in the 19th century. It was at these traditional style apartments where the first riots in France protesting the use of silk machines took place, thus forcing the locals out of work. As the flames of the past have been extinguished, trendy coffee shops and some of the finest dining in all of Lyon emerged from the ashes. Croix-Rousse is now occupied by many of France’s up and coming designers, artists, and chiefs. While walking along the steep winding streets you may find yourself tempted to poke your head into the many thrift stores are quaint corner cafes which are spread out in this neighborhood. What this district lacks in historic significance is made up with the countless quirky shops, markets, and street art found throughout Croix-Rousse! Enjoy the view of the city below as well as the various boutiques and cafes at Le jardin et l’esplanade de la Grande-Côte. Grab a cup of joe at Mokxa, one of the most famous coffee shops in the country! Go local while you browse the many stalls of the open-air market at the Marché de la Croix-Rousse. Window shop at one of the many vintage stores such as La Valise d’Élis. Catch a flick at Cinéma Cifa, an old refurbished 1950s cinema. Check out some of the best street art in Europe at Mur des Canuts. Snap a pic in front of the oldest monument in Lyon! Le Gros Caillou is a gigantic stone blown out of the alps over 140,000 years ago! For those look for a spacious trendy art hostel, Away Hostel & Coffee Shop is your best bet to having a unique and memorable experience in Lyon. you can’t get much closer to the history when staying in a 19th-century building converted into a hostel. Other than the comfortable dormitories, the hostel offers yoga classes, city tours, free coffee/tea, and, of course, its refreshing coffee shop! Feel like a local when you stay in one of the homey apartments at Cocon au pied de la Croix Rousse. These apartments offer stunning views of the nearby river, making the guests feel refreshed as they take a breath of fresh air everytime they open their windows. The apartment also comes complete with a fully equipped kitchen, bathroom, and free WiFi. It doesn’t get more luxurious than this, the Hotel Lyon Metropole has not one but two pools both inside and outdoors. For their guests comfort they also provide Turkish Baths, a spa, hot tub, and fitness center. It just keeps getting better with a terrace pool, tennis courts, restaurant, bar, and even an onsite beauty salon. Top it off with luxurious rooms, each with free WiFi, flat-screen TVs, and sitting areas. The 6th Arrondissement is our pick for best neighborhood in Lyon for families. The 6th Arrondissement is as close you can get to downtown as well as being outside the city in a quiet residential area. This neighborhood is well known for its high-profile residents and luxurious upscale housing. Although one of the more extravagant districts of Lyon, the 6th Arrondissement remains quite unassuming with its many parks and courtyards. This chic neighborhood is famous for its wide avenues and gorgeous houses from the 50s and 60s. The main attraction is not the streets, however, but Parc de la Tête d’Or, the largest urban park in the country. Parc de la Tête d’Oris is so much more than a place to stroll around, it holds a zoo, botanical gardens, greenhouses, and 4 rose gardens. The 6th Arrondissement with its quiet neighborhoods and plentiful amenities makes it our top pick for families! Visit the zoo in Parc de la Tête d’Or, one of the largest zoos in the whole country! Smell the roses and walk through the gardens in France’s largest urban park. Stroll by one of the serene squares such as Place Maréchal Lyautey. Pay your respects at Chapelle de la Sainte-Croix, a church which holds the bones of over 200 people killed during the French Revolution. Take in modern art at the Museum of Contemporary Art of the Cité Internationale. Go go-carting or ride one of the other many rides at Parc de la Tête d’Or. Taste something different at Chez Terra, one of the best Japanese restaurants in town! Guests can enjoy a breathtaking view of the famous Parc de la Tête d’Or from this hotel’s cozy sun terrace while relaxing in complete luxury. Start the morning right with their delicious breakfast and unwind every evening at the hotel’s onsite billiards room. Every room at the Residence Hoteliere Temporim comes complete with free WiFi, a fully equipped kitchen, safe box, and even a flat-screen TV. Send your taste buds to heaven and spend a night in paradise when staying at the Warwick Reine Astrid. This hotel boasts a delectable restaurant and bar which serves guests both indoors or outside on the terrace. Other than the hotel’s gourmet cuisine, many of the rooms look over the Parc de la Tête d’Or and include free WiFi, kitchen facilities, air-conditioning, and flat-screen TVs. Okko Hotel’s Lyon Pont Lafayette is a hotel where the outside is just a breathtaking as it is indoors. This 4-star hotel provides its guests with a comfortable lounge area, a library with computers, a bar, fitness center, and a souvenir shop. Wake up every morning from your luxurious bedroom which includes free WiFi, a flat-screen TV, as well as a coffee machine. With many of Lyon’s most beautiful attractions nearby, guests are sure to fall in love with Okko Hotels! When many people conjure up romantic visions of their dream Euro-holiday, the imagery which pops up in their heads can all be found in Lyon. With its gothic cathedrals perched upon high hills and winding streets which showcase towering medieval and 19th-century architecture, Lyon is sure to be at the top of all traveler’s bucket lists. When you travel to Lyon you step into a dreamy town which just oozes history and French culture! Out of all of the districts in Lyon, the 5th Arrondissement, better known as the old district, is by far our favorite. Tourists will be wowed by merely walking down the streets gawking in the awesomeness of Lyon’s traditional architecture. As far as hotels go, La Loge Du Vieux Lyon Bed and Breakfast takes 1st place for being the best in all of Lyon. There is no better way to spend your dream holiday in France than in an actual historic building where you can truly feel the history! It doesn’t matter if you are planning on spending your days people watching in a cafe, partying till dawn, or exploring every inch of the old city, your adventure to Lyon is only a click away! Have we missed anything? Let us know in the comments below. Have a safe and exciting journey to Lyon!